This chapter really is the great leap forward in our journey as Permaculturists and stewards of this Planet. It’s a frontier that needs careful examination at every level of design. How do our social/ economic structures, both visible and invisible, curtail or propel our efforts to build soil, to harvest rainwater, and to grow community. There are many techniques that are being worked out right now like local currencies, eco-village development, and co-op’s which are helping to build the momentum of change through functional interconnections of people. 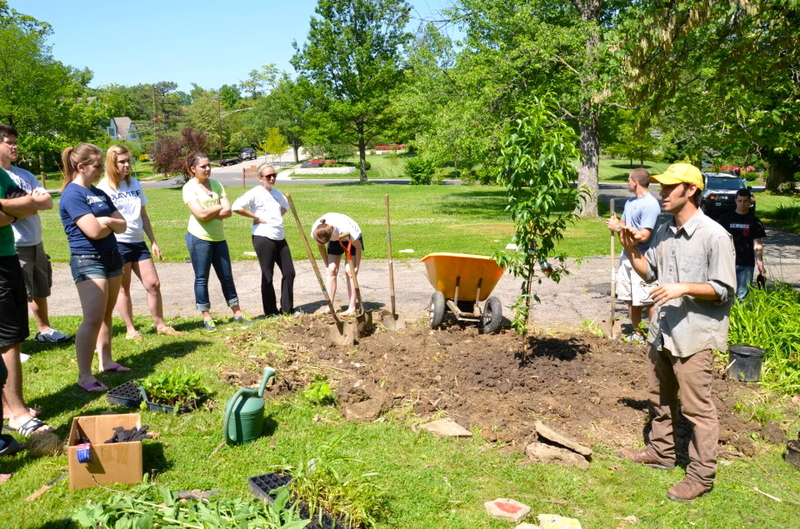 Permaculture is mostly actually about people and how well we work cooperatively might just be whether or not our species diverges from its path from extinction because of specialization. Anthropologically speaking specialization tends to lead towards extinction as our model of liberal economics dictates this technique to obtain economies of scale. It will be our doom unless decentralization occurs and our communities embrace the fall out with the pattern of edge. Presently, it is often our laws and economic principles that exhaust natural capitol rather than build it. It’s our culture of development in suburbs and individual possession that divides us socially. There are many things that have been imprinted on us and are the cause for waste of resources. When they are intangible items like laws, they are called invisible structures. When they are tangible like lack of insulation they are physical structures. This chapter focuses more on the invisible ones but maybe there is a grant program, an invisible structure, which helps home owners to get funding for improving insulation in houses. It is our ability to form new models of social cohesion that will ultimately judge our success on Planet Earth with Permaculture Design. 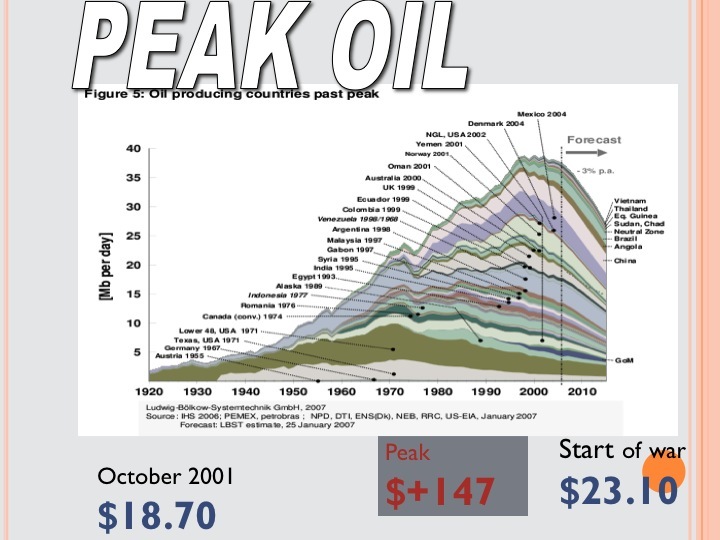 Peak Oil graph highlighting the rise of oil costs and a graph on the Peaks of individual countries. community scale change that addresses both physical and invisible structures. The premise is that we are beginning to run out of resources and need a time of transition to deal with a lower fossil fuel input in our society. An EDAP, or Energy Descent Action Plan, gives us a working framework for redesigning our lives for an equitable and just place based around community development and wise resource usage. Continual research into how we move forward with less stored sunlight energy usage, burning of fossil fuels, is a must for the backside of the growth curve. Is our economic status of 2012 because of heightened oil prices and the shock of economics based on trickle down Rega-nomics? Whether or not the 2008 $147 a barrel on July 3rd is the cause of our present condition will only be determined in another 10 years most likely. It is obvious that the credit crisis ensued and the ripples are still going. What will be the outcome of this may hinge upon our ability to reorganize ourselves with local currencies, barter and exchange systems, and local food systems that don’t rely on an overabundance of liquid fuels. 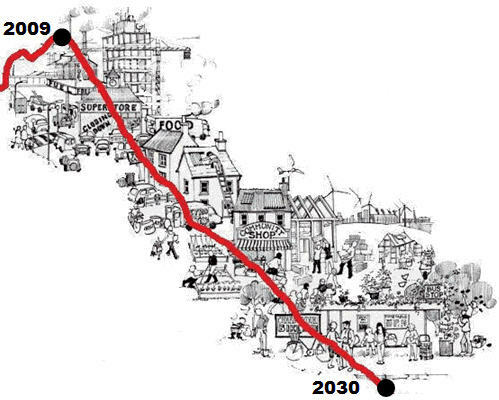 So you have to ask yourself what will 2030 look like when we engage ourselves, our local community and our governments on sustainability issues. No really stop and ask yourself, draw it, dream it, mind map it, or write it but please envision it. That is our way forward, first create the vision. ecological patters and a society reformed on cooperation not competition. Educating people of all levels is vastly important and we must always remember our ethics or Permaculture. This is why this website is free and if you want to redistribute some of your surplus feel free to donate or sign up for one of our courses. Having the time to do build this website is a redistribution of my surplus and I hope the gifts of giving just keep perpetuating themselves.